Another force I had a bunch of back in the day... a small opposing force for my Eldar at the time. The originals are long-gone, but I've picked up a few replacements over the years that I hope to get around to painting up and using as a Kill Team or some baddies in a game of Wrath & Glory. 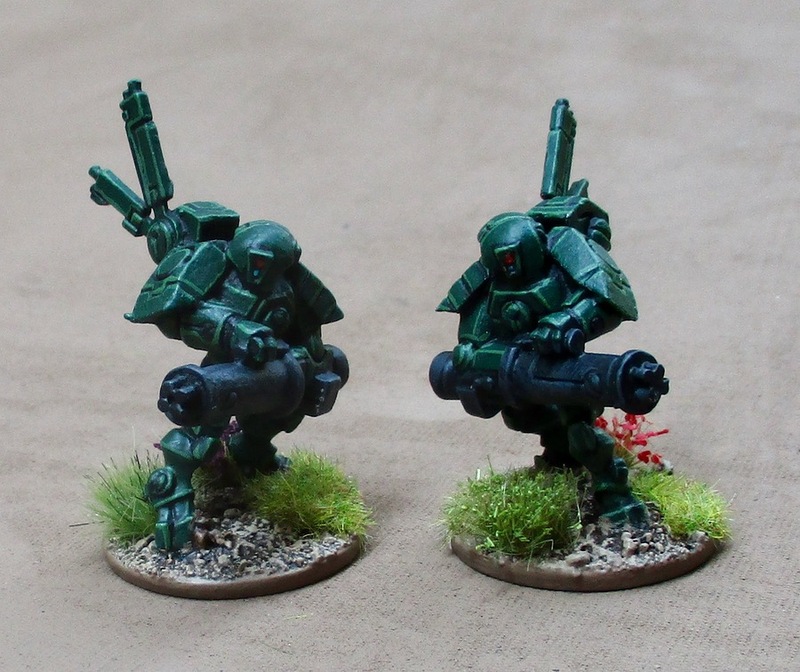 These are the only two that are painted at the moment. A War Boss and a Cybork. 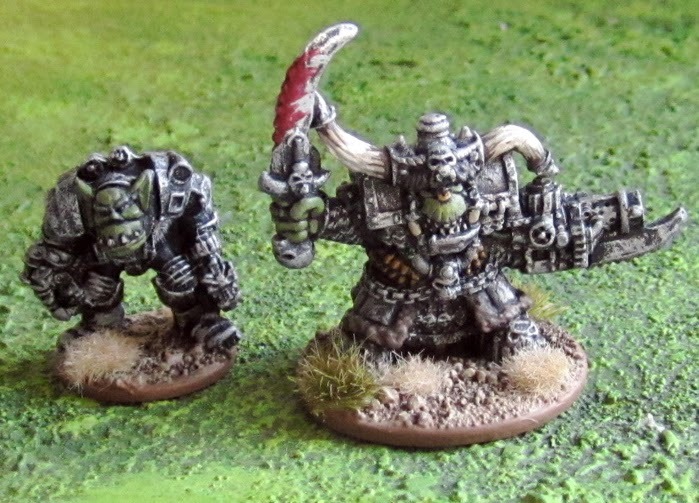 I have a dozen or so old metal Ork Boyz to paint up. Enough for a Kill Team or a decent-sized encounter in Wrath & Glory. One of these days I'll get to them and post pictures here. 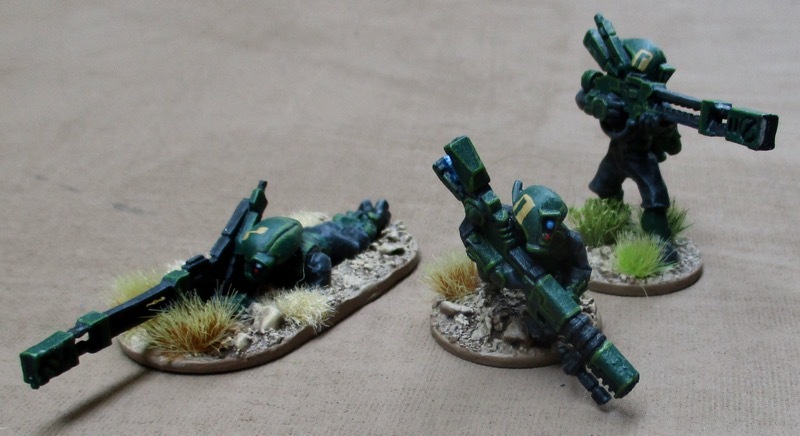 I have a very small collection of Tau. Originally picked up to be Nemesis in a 40K RPG, they finally saw use as a Kill Team in Shadow War: Armageddon. 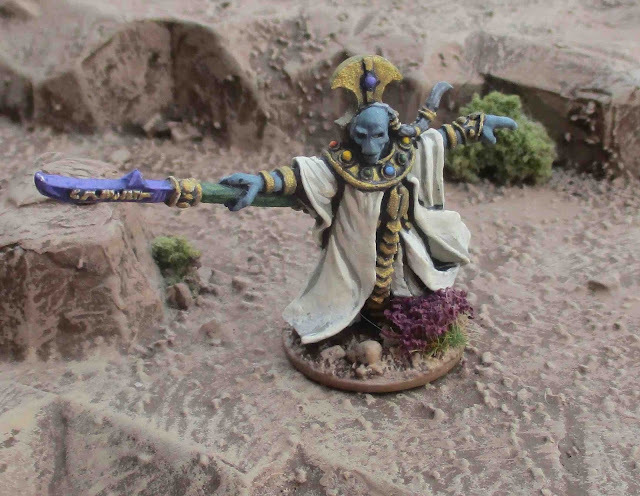 Since then they have been reorganized as a Kill Team in Warhammer 40,000: Kill Team. 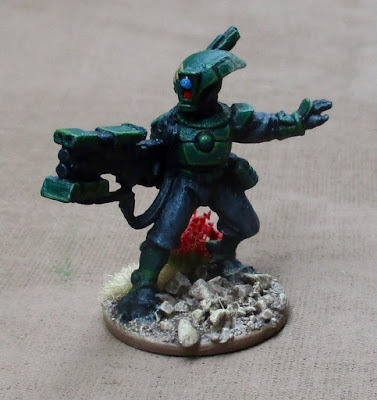 The Tau seem pretty weak in Kill Team. 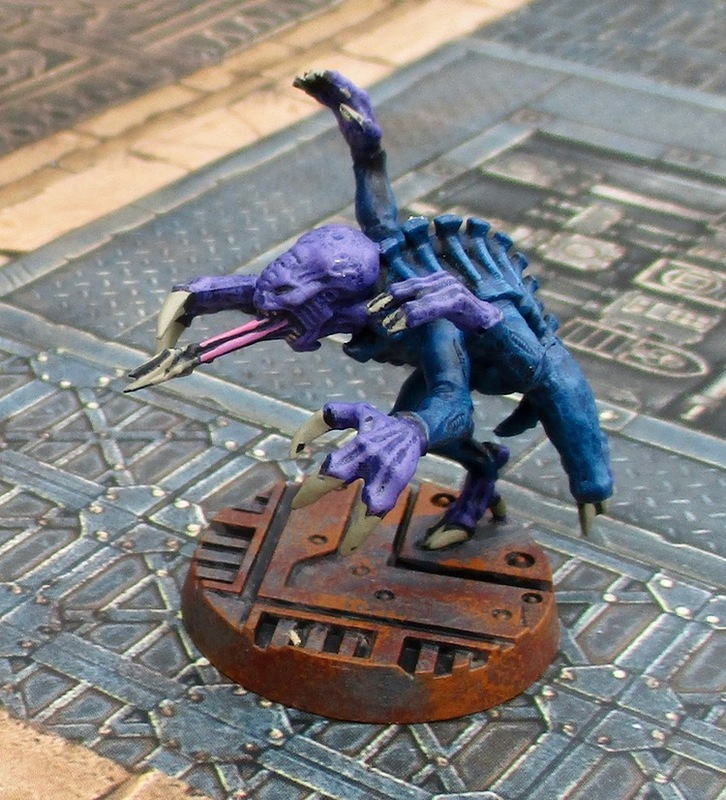 I think it would be far more likely that they'll see action as a Xenos threat (or possible ally?) in a game of Wrath & Glory. The only thing I have left to do is a TY7 Devilfish Grav-APC. It was actually the first Tau model I owned. I picked it up super cheap off eBay and planned to use it as a generic sci-fi grav-vehicle. Now that I actually have some pathfinders, I do intend to assemble it and paint it up to be their transport. Nemesis Decima - "Mindeater" is the combat specialist. 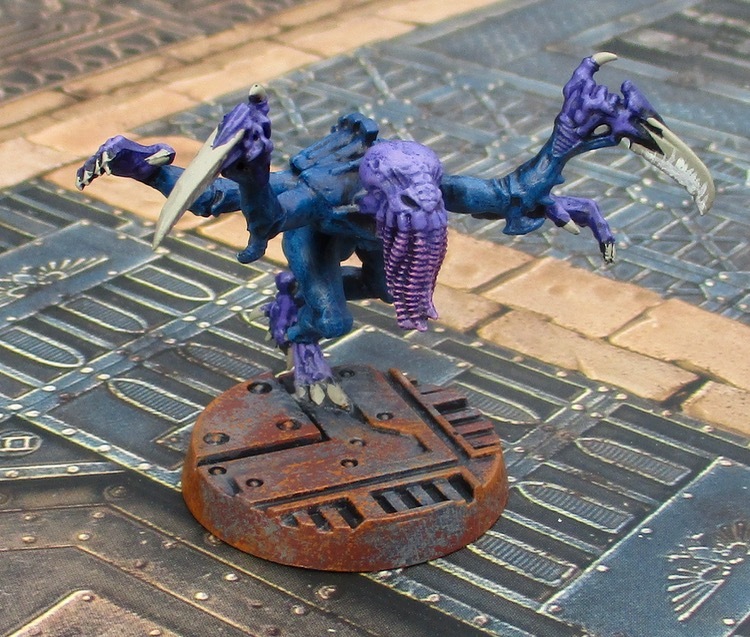 I gave him this odd head with the tentacle face to differentiate him from the other generic genestealer with Scything Talons. Also it's name is "Mindeater" and the head kinda of reminded me of a Mind Flayer...? 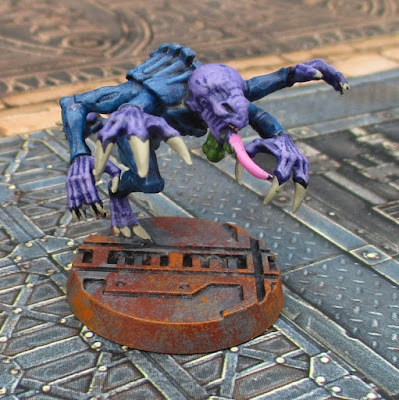 I also painted all of Finnegan's Space Hulk Genestealers. 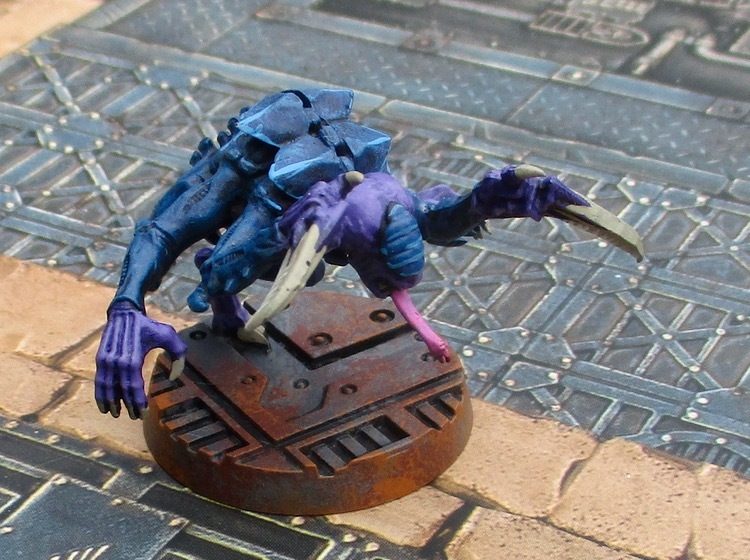 I did pick up a box of Termagaunts - because they're so cheap - just to add a little option to the kill team and some shootiness. But then realized they are utterly useless without a Tyranid Warrior to guide them... so... at some point I guess I'll have to pick up a Tyranid Warrior if I want to make use of the Termagaunts. I guess I could paint them up and use them in Wrath& Glory and just say "the synapse creature is nearby... you really don't want to meet them..."